As we know Google have just launched its new search feature called Google Instant. Which is quite faster way of searching any thing in Google. So now Google introduces this facility of Google Instant in iPhone and Android mobile devices. Google Instant is now available on many U.S Mobile Devices. According to the Google Blog, the Instant search option is presently on Android 2.2 devices, as well as iPhones and iPods running on iOS 4. As of right now, Google Instant is only available in English, although Google (Google) plans on adding more languages and bringing the service to other countries and devices. In order to test out Instant's latest incarnation, one must tap the "turn on" link beneath the search box while visiting Google.com on a mobile device. Users are advised to wait for a bit and refresh the page if the "turn on" option isn't immediately visible. 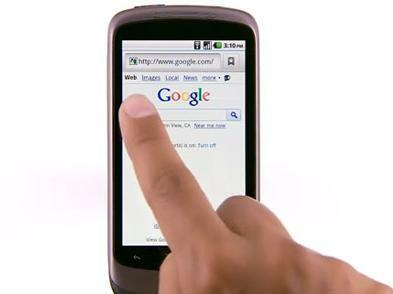 Mobile Google Instant is similar to its desktop counterpart -- it offers a list predicting what users are searching for based on what they type. The first prediction's results will automatically appear on the screen. To access the remaining results, users just have to tap their fingers on the other listed predictions. If they press "enter" or the search button, the predictions will be skipped in favor of results that match the exact search terms. The service, best designed to work on 3G and Wi-Fi networks, can also be enabled or disabled without causing users to leave the page they're on. All one needs to do is tap the "turn on" or "turn off" link. Google Instant made its desktop debut in September, which is when a mobile sneak peek was also made available. By the end of the month, while in the midst of rolling out Instant to other countries, Google also added keyboard navigation to the service. Check out this Demo video how Google Instant will Works on Mobile Device.